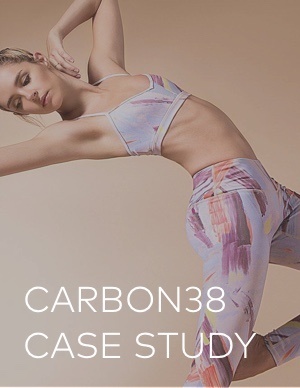 Discover how athleisure e-tailer Carbon38 harnessed the power of Dash Hudson's LikeShop to drive new site traffic and meaningful results. The robust solution enabled Carbon38 to achieve its goals and measure direct ROI from Instagram. LikeShop's unique features allowed Carbon38 to scale and inform its strategy. Carbon38 increased web sessions, sales conversions, average number of purchases, and revenue from Instagram, all in once place. Download the report now for the play-by-play!